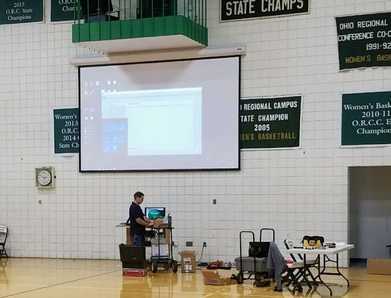 In this gym an Epson projector with a long throw lens is used with a Dalite electric screen. 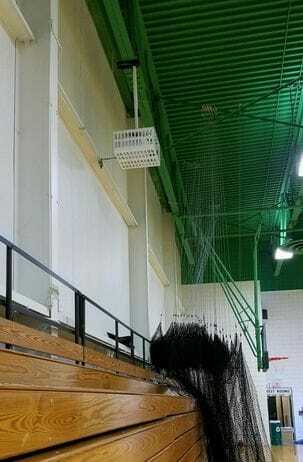 A cage was installed with the projector to protect it from rogue sports balls. 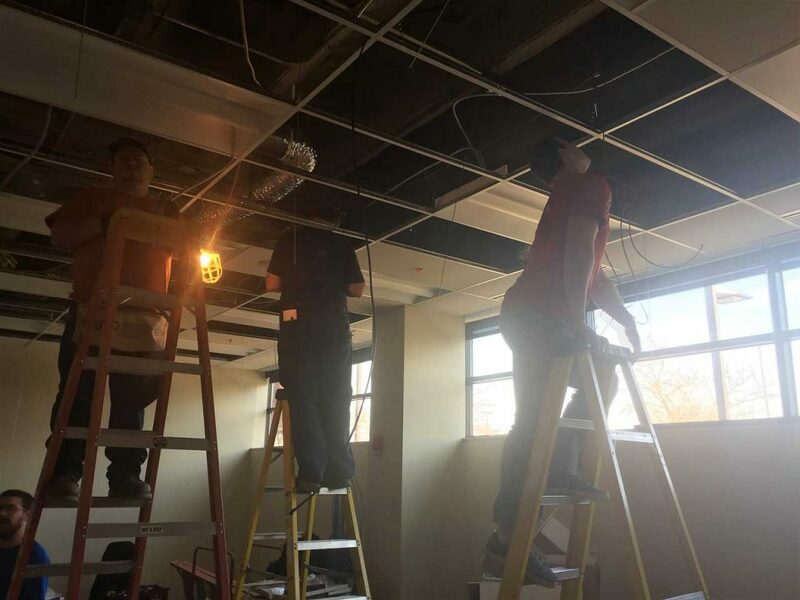 A conference room in an electrical contractors office. 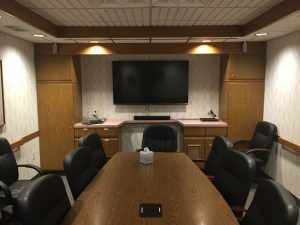 Equipment includes a 65″ Samsung, Extron speakers, Epson projector and C2G controller. 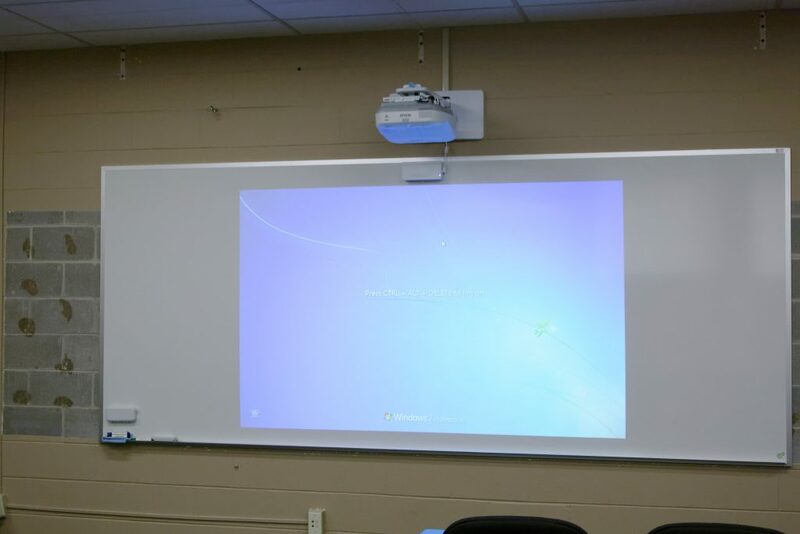 An Epson 595Wi interactive projector with a 5'x12' white board replacing a 4'x16'. Just needs a little touch up paint on the wall. 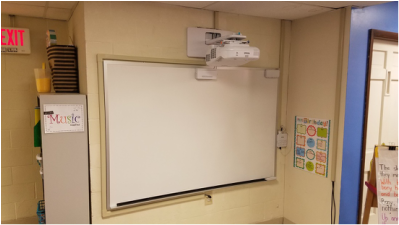 This was in a tight spot so a 4'x6' whiteboard was used. 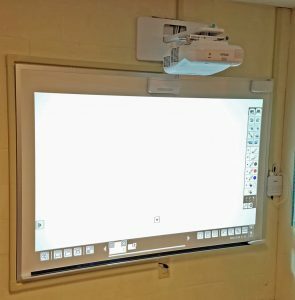 It was positioned lower for the young students.